I probably may have not been ranting about Sony Xperia phones and their other gadgets here on the blog, but they're among the mobile products that I love, this particular one about GAMES on Xperia was quite fascinating, I could not keep to myself so I decided to let it go by sharing it with you in this post, today all You need to know about PlayStation PS4 Remote Play and devices that supports it. Sony, same company that produces Xperia smartphones and tablets are all under one umbrella, Sony have come up with a better way through which you can enjoy playing games with your PlayStation, without using a TV. This invention is known as REMOTE PLAY for Sony Xperia mobile phones. How Does Remote Play Work with Sony Xperia Phones? 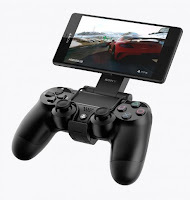 This is a simply sophisticated Game Control Mount that pairs with Xperia phones and tabs, with its dual analog sticks and trigger buttons, shock vibration and touch pad, your DUALSHOCK®4 wireless controller is as good as ever! Experience better knowing you can play your best anywhere! Play from anywhere on your home Wi-Fi network. Game Control Mount GCM10 will securely hold your DUALSHOCK®4 and smartphone where ever you are! Freedom is the best feature. It's really simple, with your Xperia, go to PlayStore and install PS4 REMOTE PLAY App. 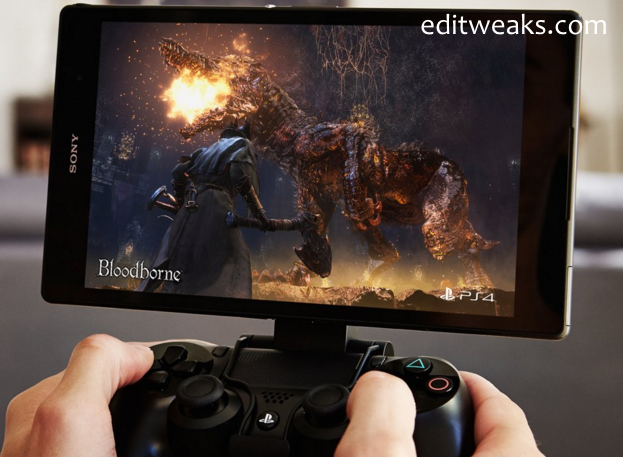 Once you have the app installed on your Xperia phone, you'll need to ensure that Remote Play is turned on in your PlayStation 4 settings. To do this, Navigate to Settings > View Controller Guide > Register and turn it on. When you first start up the app, it will ask if you want to connect the PS4 DualShock controller to the phone, you may read more about it on CNET here. Streaming is very smooth and great, you bring your game play from your TV into your Smartphone. All you have to do is Pick your Xperia gaming device. PS4 Remote Play is available on smartphones and tablets in the Xperia Z-series from Z2 and onwards. missing my psp already. Nice post bro, thumbs up sony.